Foggy Mountain Lodge is a unique and beautiful location for your wedding or special event. Wedding Parties can get married on the property if they desire. 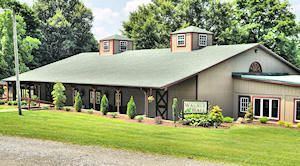 From the banquet hall we have a walkway across a bridge at our pond to our Gazebo for ceremonies with the pond and fountain as the backdrop. 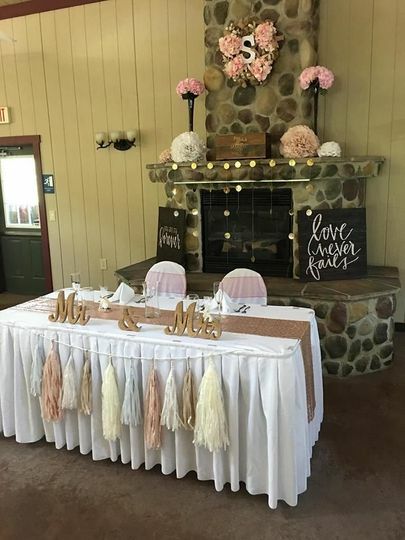 Weddings can also be held at our large Pavilion in front of our stone fireplace. 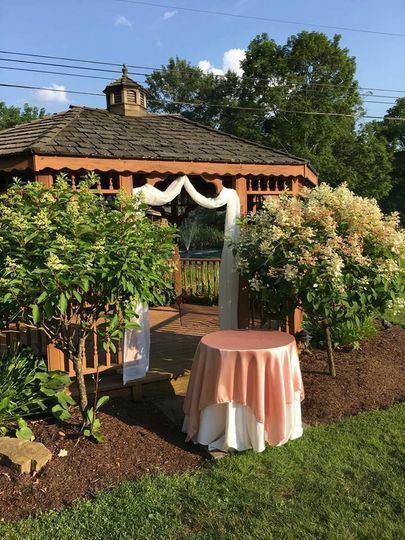 Both the gazebo and the pavilion are great choices for ceremonies or your special event. 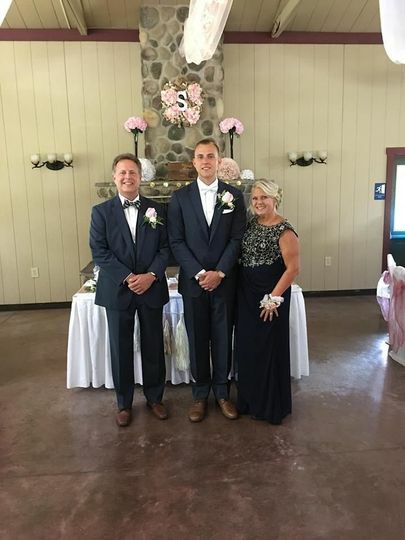 When you plan a wedding at Foggy Mountain Lodge, you will be working directly with the owner to make the event or special day truly memorable. 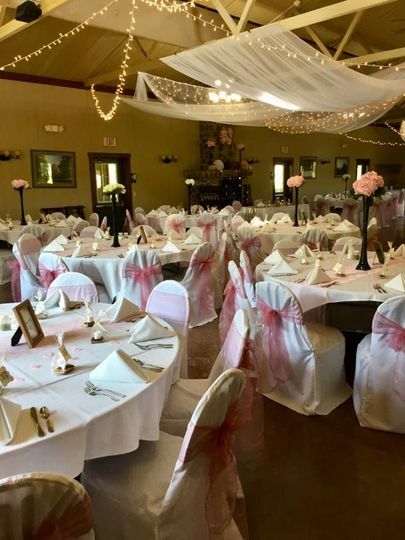 Walnut Hall is our banquet facility constructed next to a one acre pond. The hall will accommodate 200 guests for weddings, business meetings, anniversaries, Christmas Parties or other large functions. All food for the Walnut Hall is prepared in our banquet kitchen. Menus for every event can be tailored to the customer's selections. 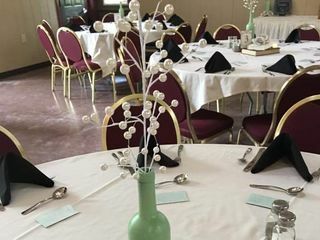 Foggy Mountain provides all tables and chairs for events. Your wedding photos will look great as we have many beautiful areas where your photos can be taken. We recommend photos be taken at the Chapel. We have a small log cabin chapel on the property which is a great backdrop for all of your photos. News flash! The Chapel has brand new stained glass windows! Wedding Parties can get married on the property if they desire. From the banquet hall we have a walkway across a bridge at our pond to our Gazebo for ceremonies with the pond and fountain as the backdrop. 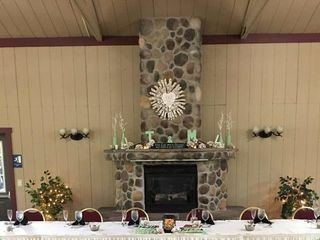 Weddings can also be held at our large Pavilion in front of our stone fireplace. 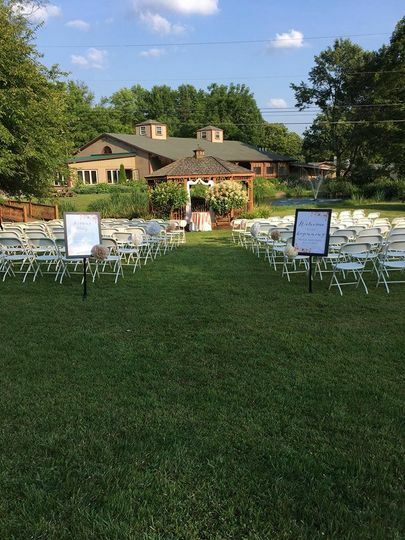 Both the gazebo and the pavilion are great choices for ceremonies. 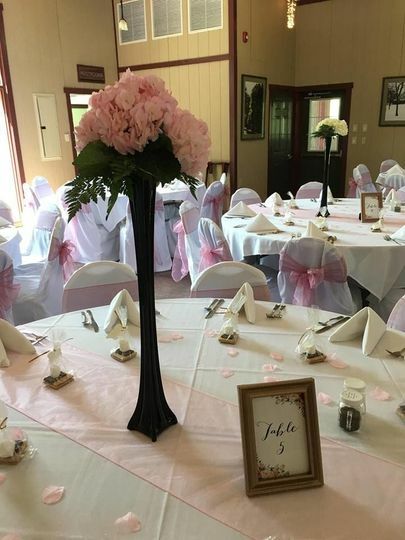 When you plan a wedding at Foggy Mountain Lodge, you will be working directly the owner to make the event or special day memorable. Your wedding photos will look great as we have many areas where your photos can be taken. We recommend photos be taken at the Chapel. We have a small log cabin chapel on the property which is a great backdrop for all of your photos. We had our daughters wedding and reception here and it was amazing! Everyone commented on how great the wedding was and how awesome the food was. Matt is an amazing cook. I would highly recommend them to anyone looking at having their wedding here. Everything for your wedding from rehearsal to accommodations to photos to an end of the night bon-fire. Logistical dream! From the moment we drove onto the property, I knew this was it. Then we met Karen. Then we met her team. And then we couldn't wait to get married here! From our food tasting, to picking the bar menu, to making sure the bride's train was perfect, to helping us surprise our guests with a pinata breaking... we could not have asked for a better team supporting our wedding vision. 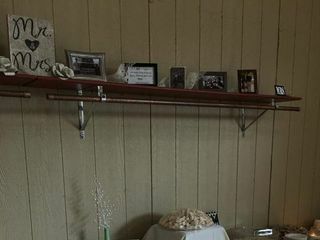 We arrived with our families and bridal party on Friday and had all day to set up and decorate. We then retired to our rooms and suites to freshen and change before our rehearsal. Rehearsal dinner was in the Maple Room off the main restaurant, and Karen and Chef Matt helped us showcase a very "us" menu - for both our rehearsal and our wedding buffet. 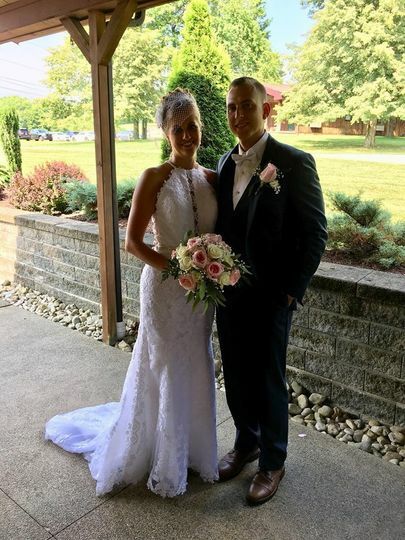 Service was fabulous - the staff seamlessly cared for everything we and our guests needed and made this bride feel as special as any princess ever could feel. I can't possibly describe the perfection of our wedding day in words. It was everything I could have wanted and more. We started with a delicious breakfast, enjoyed our beautiful day, ended with a bon fire, then slept off the fun. Sunday we were once again served a hearty breakfast and given plenty of time to clean up our decorations before heading home. Beautiful setting, friendly outstanding staff, impressive service and attention to detail, logistical dream, and the most perfect day ever. We continue to receive compliments on our choice of Foggy Mountain as wedding venue and look forward to many years of memories happening here. Karen and Stacey were unbelievably helpful! way more than what we expected. My daughters wedding was beautiful! The bonfires were fun after the rehearsal dinner and the wedding. the guests were having so much fun.